The Tiger Tamer Shark Leader is a NEW Catch Sharks Exclusive. This is a precision heavy duty large shark leader is a brother to the Gladiator Leader. This 30' heavy-duty leader is made with 900lb invisi-clear high-industrial quality monofilament and top-grade 900lb Stainless Steel Cable coated in unique black HVCC (High Vinyl Compression Coating) Technology . Leading front swivel is an Ultra-heavy duty Ball Bearing swivel. The unique bullet shape provides fluid rotation and decreased water resistance and eliminates line twist. The link swivels are highest quality 8/0 (900lb) and 12/0 (1400lb) barrel swivels. The shackle itself is high-grade 1500lb stainless steel. Both Barrel Swivels and Shackle are Catch Sharks ED™(Electroreception Deception) Coated in ME™ (Mako-Eye) Black. Leader is constructed with stainless steel thimbles for mono/cable connections to help protect and distribute loop pressure. Leader has double crimped ends with compressed plastic covering for protection and elimination of stray line hang-ups. Total length to connection shackle is roughly 32'. 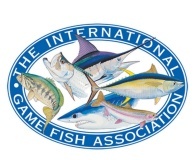 Pair this with any Catch Sharks Hook drop to have an effective 35' leader. 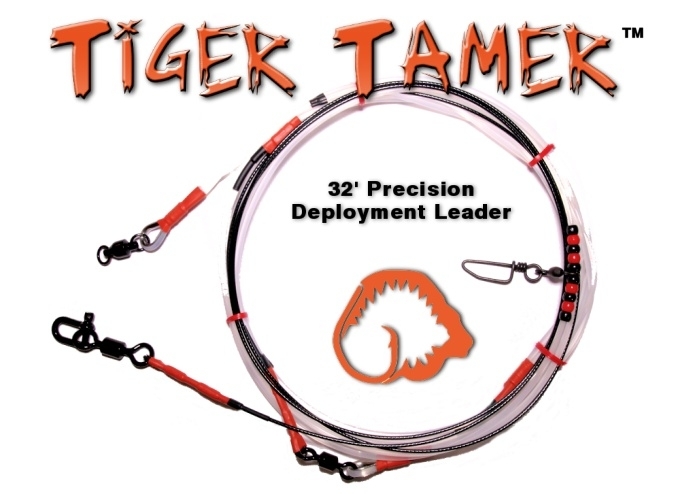 Pair the Tiger Tamer™ Leader with any Catch Sharks hook drops and take on the surf's biggest predators! Be sure to check out these great leaders only available here on CatchSharks.com!